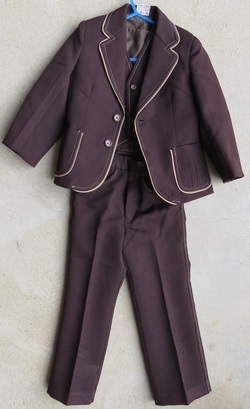 Boys' formal wear 1; suits. Mostly original. 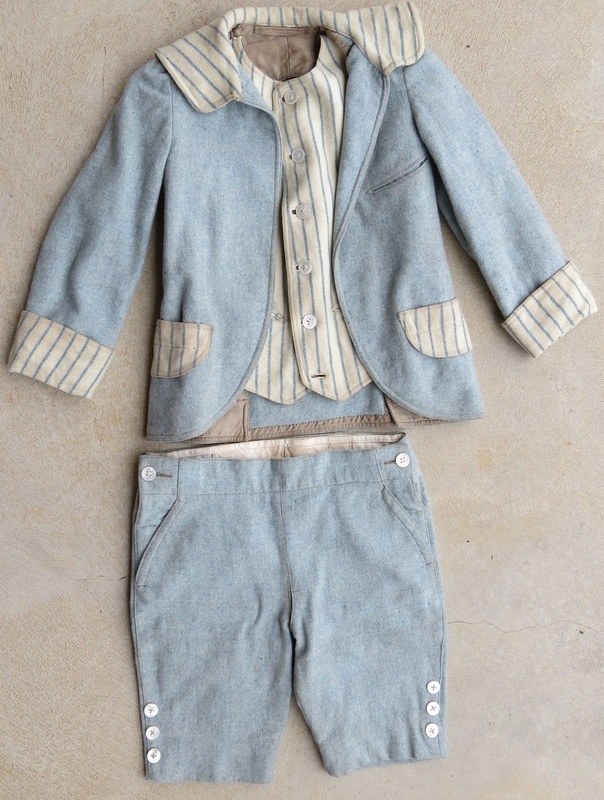 Photos to be added: 1930s yellow chambray sailor suit (fashionable for children from Victorian times till the 1950s), for about age 4-5. Plus small red waistcoat; small green waistcoat; black waistcoat for age 8 - 10. 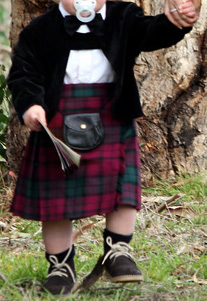 See also Children's Scottish wear. If you buy a wedding dress from us, the rental cost for kids' formal wear will be equivalent to cleaning fees. B1 "Marriott's first good-looking suit, to be put away for him till he is a man." Outgrown in 1891. Wool; the waistcoat is backless, and buttons onto the jacket. Jacket chest 54cm, armpit to cuff 27cm. Trouser waist 56cm, inside leg 19cm. Buttonholes inside waistband to button to a shirt. Has buttonless fly. Rental $45, deposit $65. Purchase $110. 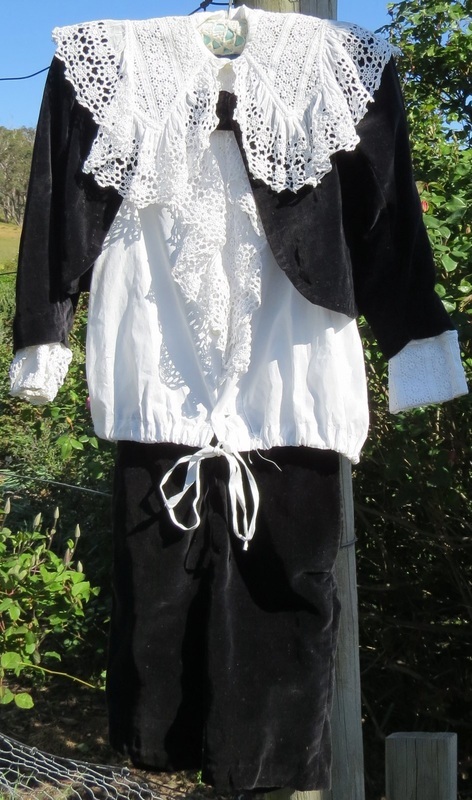 B2 Edwardian black velvet 2-piece suit (Fauntleroy style). Age about 2-4. Short pants; waist about 65cm, wear with a belt; inside leg 12.5cm. Rental $45, deposit $65. Purchase $110. See also Bs5. 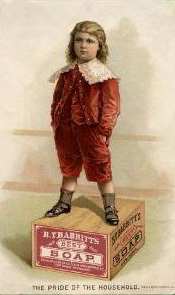 B2 jacket worn with a kilt and a dummy. 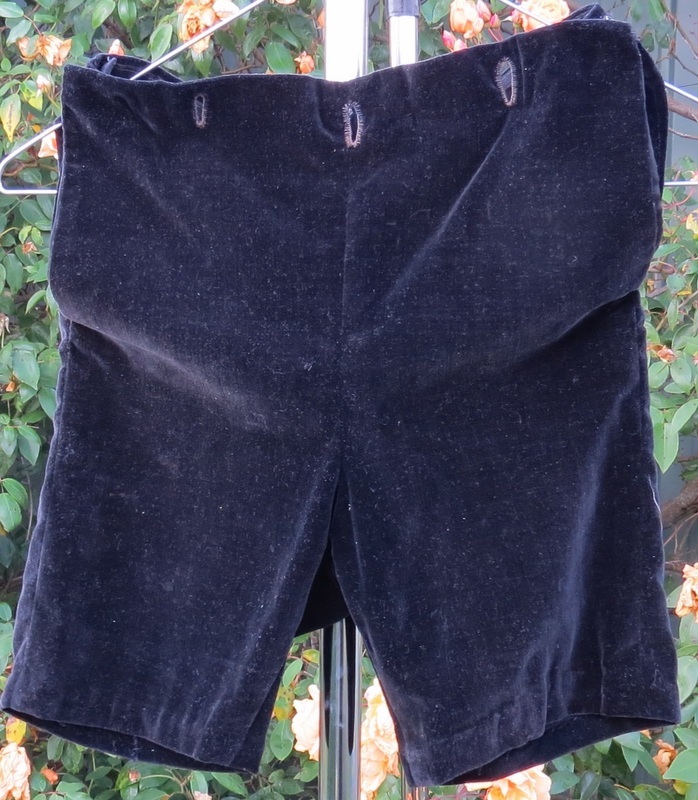 We also have 3 boys' velvet kilt jackets from the 1890s, in various sizes. B4 Age about 2-4. 3-piece suit, possibly 1950s. 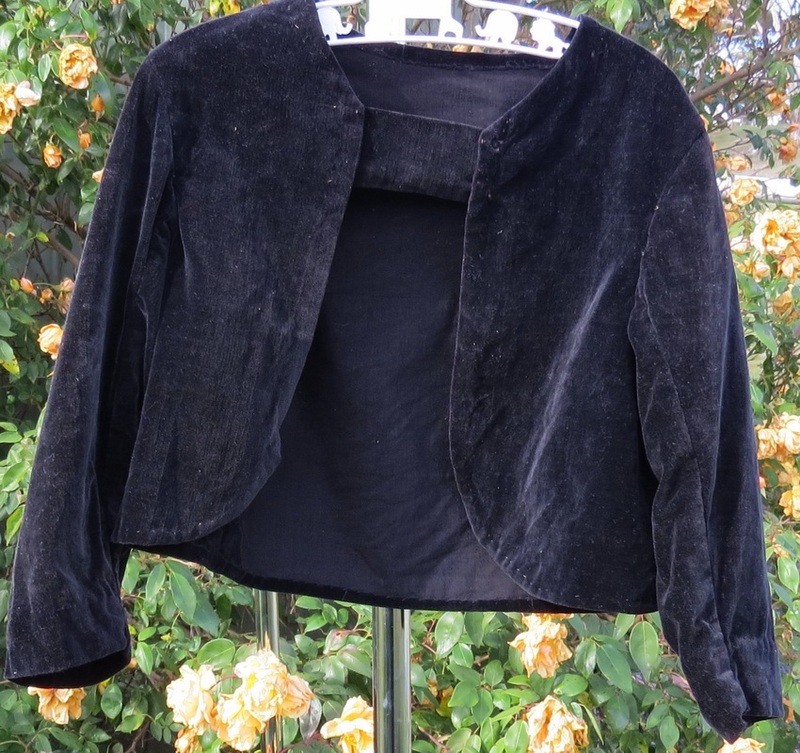 Jacket chest 62cm, armpit to cuff 23cm, length 44cm. Trouser waist 48-56cm (elastic at back), inside leg 42cm. Rental $30, purchase $60.